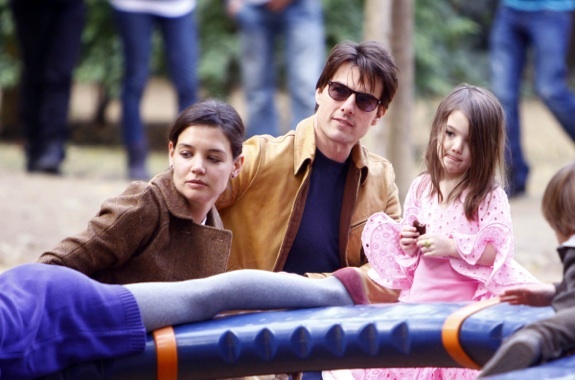 Katie Holmes and daughter Suri were spotted in Sevilla, Spain today visiting hubby Tom Cruise, who is filming “Knight and Day” on location there. The three enjoyed a day out in the park, with Suri looking especially cute in her Spanish Flamenca dress with red polka dot shoes. As always, Katie carries Suri’s must-have blankie, the Little Giraffe Luxe Duo. Little Baker Suitcases are Packed with the Promise of Fun at Grandma’s House! Holiday Gift Ideas: 9 Fun Pirate Ships!